Sussex Police have announced the latest batch of people convicted for driving under the influence of drugs and alcohol as part of their summer crackdown with Surrey Police - Operation Dragonfly. A Littlehampton man who drove with excessive amounts of cocaine and cannabis in his system, and without a licence or insurance, has been jailed. 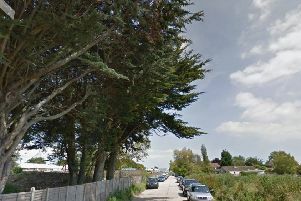 Christopher Hyder was pulled over in Broad Piece, Littlehampton – just a mile from his home in York Road – after the red Ford Fiesta he was driving showed up as having no insurance. On speaking to him, police noticed a strong smell of cannabis coming from the vehicle and a roadside drugs test was conducted. The test proved positive and Hyder was subsequently arrested. The 23-year-old, who is unemployed, was stopped at about 11.20pm on Tuesday 7 June, just two days into Operation Dragonfly – Surrey and Sussex Police’s summer crackdown on drink and drug-driving. At Worthing Magistrates’ Court on Tuesday 2 August, he pleaded guilty to driving with 8mcg of cannabis and 56mcg of benzoylecgonine (cocaine) per litre of blood in his system – the legal limits being 2mcg and 50mcg respectively. He was sentenced to 12 weeks in jail, disqualified from driving for 24 months and ordered to pay a £115 victim surcharge. Hyder is among a total of 102 motorists convicted since the dedicated campaign to target drink and drug-drivers was run between 6 June and 10 July. Andrew Stace, 35, unemployed, of Evelyn Avenue, Rustington, was arrested in Church Road, Tarring, on 25 June, and charged with failing to provide a specimen for analysis and possession of cannabis. He pleaded guilty at Worthing Magistrates’ Court on 26 July and was disqualified from driving for 12 months. He was also ordered to pay a £120 fine, £85 costs and a £30 victim surcharge. Scott Maysey, 26, a roofer, of Grinstead Lane, Lancing, was arrested in High Street, Shoreham, on 2 July and charged with failing to provide a specimen for analysis. He pleaded guilty at Worthing Magistrates’ Court on 26 July and was disqualified from driving for 42 months. He was also ordered to pay a £420 fine, £85 costs and a £42 victim surcharge. Bradley Knowles, 30, a sales representative, of Brooks Lane West, Bognor Regis, was arrested in Bradlond Close, Bognor Regis, on 3 July, and charged with driving with 42mcg of alcohol per 100ml of breath in his system and driving with no insurance. He pleaded guilty at Worthing Magistrates’ Court on 26 July and was disqualified from driving for 12 months. He was also ordered to pay a £425 fine, £85 costs and a £30 victim surcharge. Mark Griffin, 35, a labourer, of Mornington Crescent, Bognor Regis, was arrested in Upper Bognor Road, Bognor Regis, on 7 July, and charged with driving with 42mcg of alcohol per 100ml of breath in his system and possession of cocaine. He pleaded guilty at Worthing Magistrates’ Court on 26 July and was disqualified from driving for 36 months. He was also ordered to pay a £840 fine, £85 costs and a £84 victim surcharge. Mariusz Lullis, 27, a forester, of Park Road, Bognor Regis, was arrested on the A259 at Wick on 9 July, and charged with driving with 50mcg of alcohol per 100ml of breath in his system, driving while disqualified and driving with no insurance. He pleaded guilty at Worthing Magistrates’ Court on 28 July and was disqualified from driving for 36 months. He was also committed to prison for six weeks, suspended for 12 months, and ordered to carry out 250 hours of unpaid work in the next 12 months, and pay £85 costs and a £115 victim surcharge. Jasmine Karyer, 23, a waitress, of Peel Close, Wick, was arrested in Manning Road, Wick, on 10 July and charged with driving with 94mcg of alcohol per 100ml of breath in her system. She pleaded guilty at Worthing Magistrates’ Court on 2 August and was disqualified from driving for 24 months. She was also ordered to pay a £410 fine, £85 costs and a £41 victim surcharge.